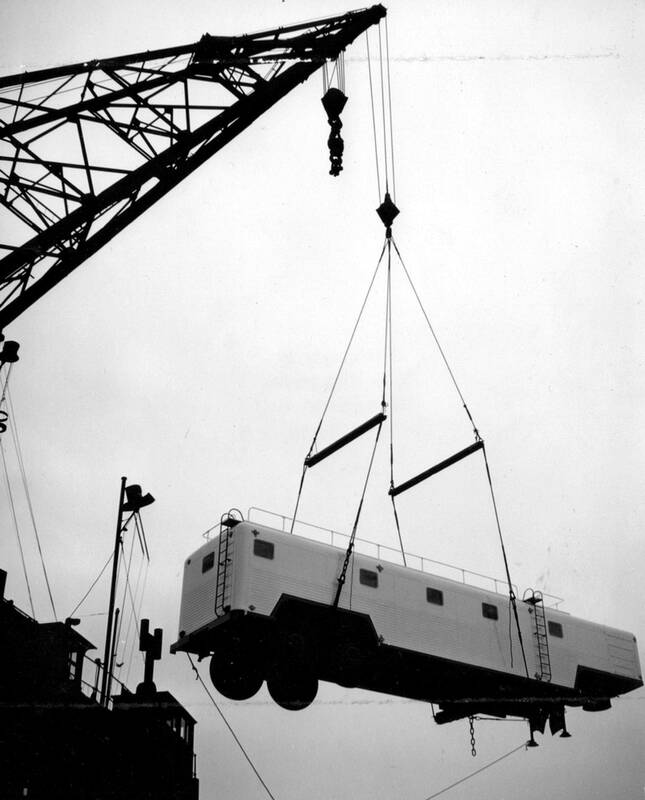 In 1963 Edward Beck & Son Ltd got the job of delivering a number of mobile health centre trailers to Tilbury Docks. 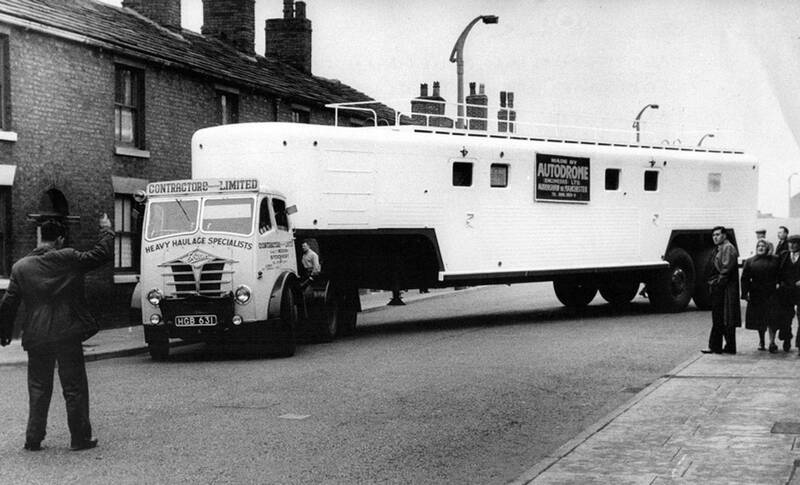 These fully fitted out trailers of various sizes were manufactured by Autodrome (Engineers) Ltd of Audenshaw near Manchester and were destined for Africa. Edward Beck's FG Foden S18 6x4 ballast tractor Reg No HGB 631 is seen here leaving the premises of Autodrome (Engineers) Ltd in Audenshaw with one of several mobile health care trailers which were destined for Africa via Tilbury Docks. 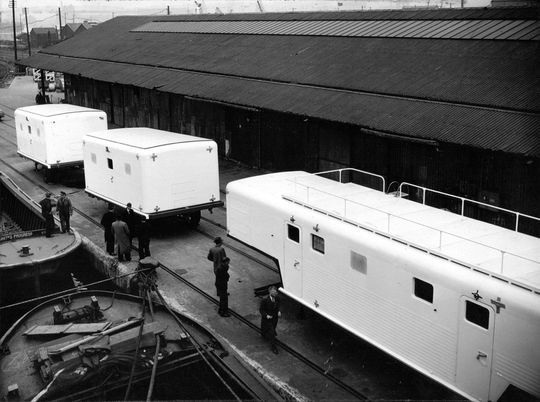 Tilbury Docks and the trailers are seen here on the quayside awaiting loading onto the ship. 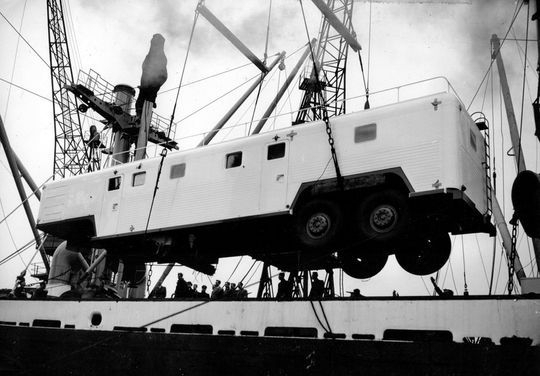 Up and away as the first trailer is loaded on to the ship for its onward journey to Africa. Manufactured by Autodrome (Engineers) Ltd of Audenshaw the trailer is about to be stowed away on board ship for its journey to Africa. 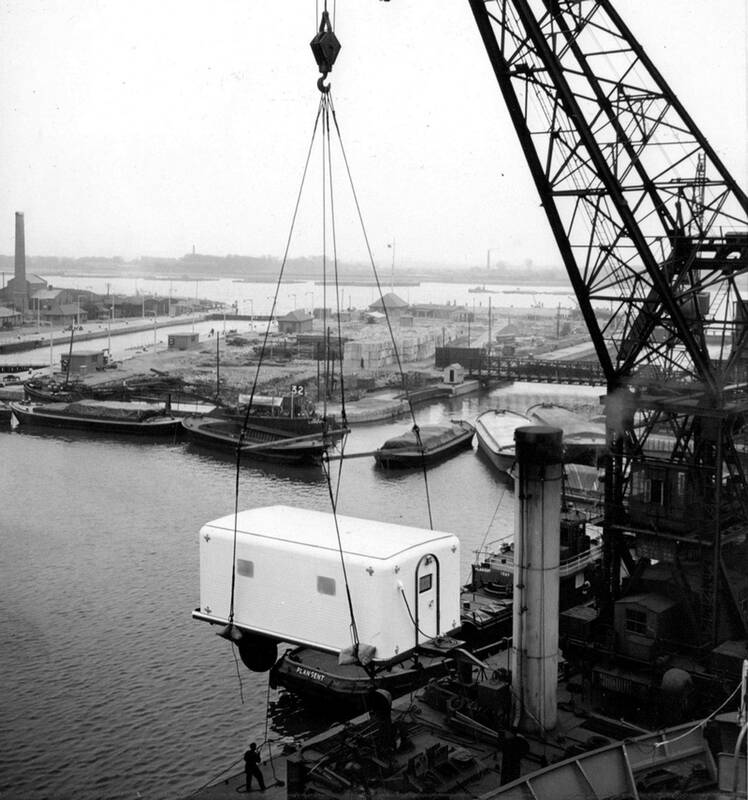 A busy scene at Tilbury Docks as one of the smaller health care trailers is lifted on board ship by one of the docks mobile cranes.